Why isn’t a Blackberry Secure Enough for Barack Obama? As you may have heard, Barack Obama is tethered to his Blackberry. It’s great to have a highly technical President of the United States, but it is really shaking things up. All of the policies and procedures date back to times before PDAs and smart phones. Obama is really struggling to cling to the same technical edge in his day-to-day affairs that he has enjoyed to date. But the security team at the Oval Office has other plans. 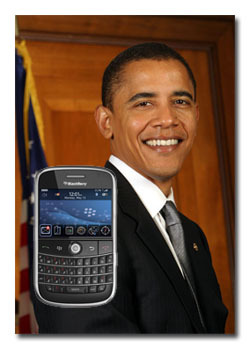 Instead, he gets what is being dubbed the “BarackBerry” — a high security blackberry replacement. Why is the Blackberry (and similar devices) such a security concern? GPS: The Blackberry (and other PDAs like the iPhone) have built-in GPS technology that allow the phone to determine your location to within feet. If the phone or the phone service could be hacked into, there is concern that Obama’s location could be determined with exactitude by terrorists. You can imagine the kinds of problems that that would cause! Opps, I Sent it! It is too easy to accidentally hit “send” on an email or text message, possibly releasing information that was not fully edited or thought through into the public. Presidential Records Act of 1978: Anything that is sent over email or instant message needs to be permanently recorded and in the public record as all of a President’s correspondence must be made public 5 years after s/he leaves office. Archival of all email sent to/from a Blackberry is certainly possible; however, it does take an effort to ensure that everything that you send from your mobile device is suitable for the public and the consumption of the media. Who Runs the Service? The information set and received by the Blackberry, while it can be encrypted in transit to and from the blackberry enterprise servers (BES), the messages themselves would still be saved in an insecure and unencrypted form on the server and when they were sent out into the Internet at large. Any IT staff with administrative access to these servers could potentially access all of the President’s mobile communications. This likely makes yet another set of IT posts that require “Secret” or “Top Secret” clearance. Insecurities That Crop Up: Blackberry is a widely used phone and is thus, perhaps, easier to hack into than proprietary devices. Also, there are likely to be more security vulnerabilities found with it and its required infrastructure than a proprietary device, simply due to its widespread use.The National Vulnerability Database shows 14 issues with Blackberries, including ways that attackers can install malware or crash the device. While I am sure any Blackberry granted to Obama would be patched to fix these, there is a history and thus a potential for other issues in the future.As the incident where Obama’s Twitter account was hacked into by a kid through some Twitter administrator’s weak password has shown, you can’t make assumptions about security. Most respected companies fix security issues immediately as them come up and take steps to use best practices to ensure that they do not occur in the first place. However, where the President of the United States is concerned, any kind of security issue for any amount of time is serious. Instant Messaging: Instant messaging is not allowed in the White House, even though it is common in most government offices. Lawyers believe that, due to the Presidential Records Act and the use of ingrained use of instant messaging for relaxed gossip about issues and spin and for discussions of personal family matters, that instant messaging cannot be allowed at all, as that would preserve discussions in the record that should be private. Locking Down the BlackBerry: While you can lock down a Blackberry to use services securely with SSL (secure enough for secret clearance), etc., unless you have some special modifications to the Blackberry software, it is always possible to setup additional insecure accounts. So, some kinds of software modifications are automatically necessary by the Secret Service so that Obama’s phone is always secure and that not he, nor anyone who gets possession of it for a few minutes, can modify any settings. 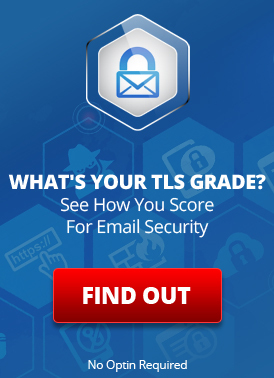 How real are these security issues? Probably not as bad as they seem. The heads of the FBI, the head of the CIA, and the Joint Chiefs of Staff are all going to have Blackberries (although all with an added “super-encryption package”, says Marc Ambinder in his blog). The standard is always higher for the president. However, I think that the issues involving Presidential Records are the most significant. This is a term we first saw on CNNPolitics.com. Connects directly and securely for voice and data to specialized White House servers which also archive all communications. Likely that all communications with White House officials are routed internally over special hardened communications channels. It is likely that this phone supports PGP, S/MIME and/or other end-to-end encryption techniques so that the content can only be opened by authorized people — and not by the IT guys running the BES servers! So whose job it is to read all of Obama’s email archives? You know someone at the NSA is probably already doing that for national security reasons. So, Obama gets his Blackberry, kind of, with one thumb tied behind his back. This entry was posted on Thursday, January 22nd, 2009 at 12:01 pm	and is filed under LuxSci Library: Email Programs and Devices, Mobile. You can skip to the end and leave a response. Pinging is currently not allowed. This is the first time I’ve seen anything that has reflected some of my long standing thoughts. It’s time general public services take these possibilities more seriously too, instead of shirking there responsibilities or hiding and devastating deemed to be costly solutions and companies, because profiteering private companies are controlling the decisions. The end user device and capabilities are paramount. BES also depends on Microsoft servers which must be an appropriate staging post to plan/hide any attacks.